This homemade facial cleanser requires only two simple ingredients: honey and lemon! If you’ve never thought about making your own homemade facial cleanser, you should seriously consider it! Commercial cleansers are packed full of unnecessary, and sometimes harmful ingredients that can irritate and dry out the skin. Even worse, some of these store bought cleanser contain chemicals which are not beneficial to the skin. That’s why we always recommend making your own cleansers, toners, masks, and anything else related to skin care. To see our entire collection of homemade skin care products, check out our DIY Beauty section! 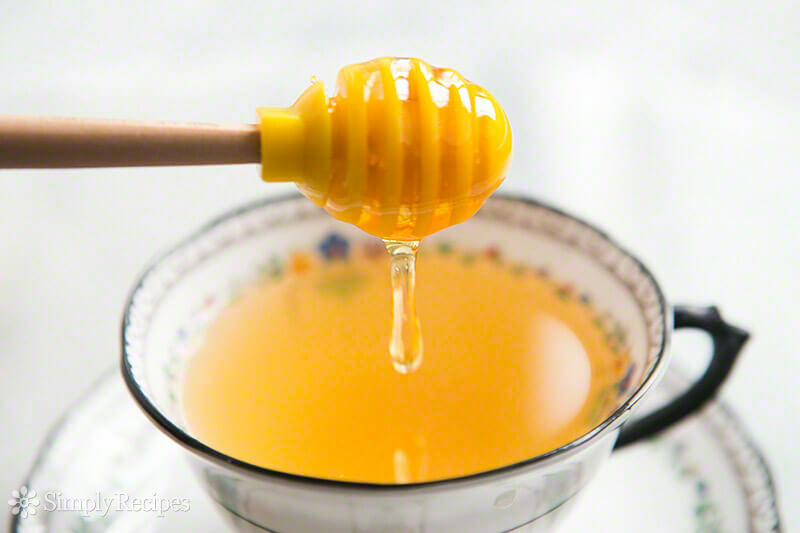 In a small bowl, combine the honey with the lemon juice. Wet the skin, and apply as you would any other cleanser. Rub in slow, circular motions, and rinse off. If you wish, this homemade facial cleanser can also be used as a face mask, so you can also leave it on for 15-20 minutes, rinse off, and pat dry. This homemade facial cleanser with honey and lemon juice works on many different skin types including oily, acne prone, dry, and aging skin. Raw, organic honey has incredible healing abilities and can cure even the most stubborn of acne if used on a regular basis. Honey is also a natural anti-septic and able to cure other skin ailments such as rosacea, blackheads, whiteheads, and dark spots. On top of all of that, honey is also a natural moisturizer so those with dry skin can benefit from this immensely! Lemon juice acts as natural cleanser and toner. Because of its acidic properties and natural bleaching agent, lemon juice can erase blackheads, dark spots, and skin stains. You can use this facial cleanser every day, or apply it as a mask 2-3 times a week in order to see results.